Objects are in many ways bearers of memories. As silent witnesses of a varied past they can reference breaches as well as continuity in history, in case their multifaceted dimensions get unveiled. 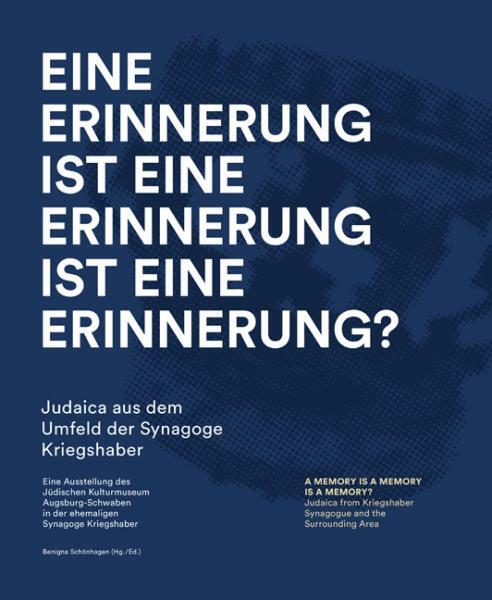 The twenty-three objects related to Kriegshaber Synagogue, one of the two synagogues preserved in Augsburg, are similarly inscribed with a multitude of memories. Scattered around the world in the Nazi era, precious silver Torah ornaments, exquisite textiles, rare manuscripts, and other Judaica have returned to their place of origin for several weeks for this exhibition and are reminders of the religious, cultural, and economic importance of this community once located on the outskirts of the city, which spread well beyond the boundaries of a rural Jewish congregation. They also focus on individual memories of their former owners or one-time users and raise questions about how to deal appropriately with such memories today.